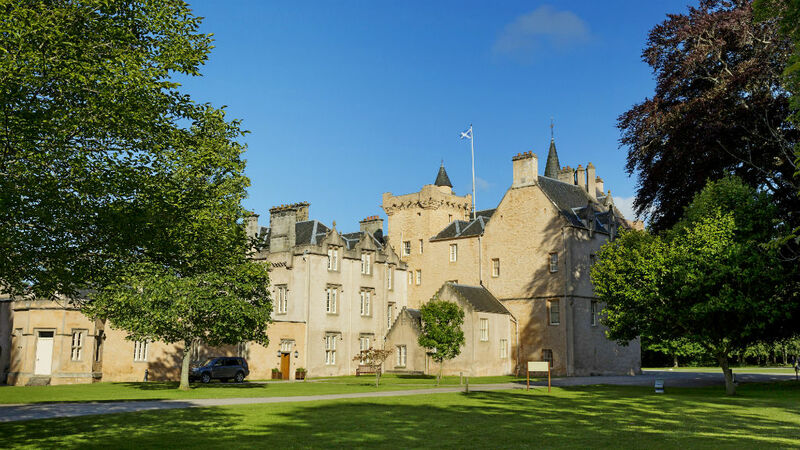 This rose-coloured, turreted castle stands on land confirmed to the Brodies by Robert the Bruce. See how changing times altered the castle's shape and purpose. The impenetrable 16th-century guard chamber is flanked on one side by a cosy 17th-century wing and on the other by a sprawling Victorian extension. The castle has been restored to reveal what everyday life was like for the Brodie laird and his family. The rooms feature the finest antique furniture, works of art and irreplaceable ceramics collected by generations of Brodies. Outside, there are beautifully landscaped gardens with a large pond, a woodland walk, an adventure playground and a nature trail with hides for watching wildlife, including red squirrels and woodpeckers. Enjoy delicious home baking in the tearoom, which also serves lunches, and take home a souvenir from our gift shop.